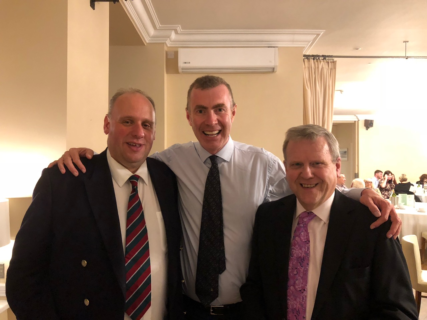 Pictured L to R: Pharmacist Stefan Gwent, who is a Hospital Supplementary Prescriber, Adam Price MP and Richard Evans, FRPharmS. The event was attended by a number of Welsh Assembly Members and Members of Parliament including (AMs) Adam Price, Rhun ap Lorwerth and Llyr Gruffydd and (MPs) Ben Lake and Jonathan Edwards. Both the PDA’s Safer Pharmacy Charter and Violence in Pharmacy policy were widely discussed on the night. 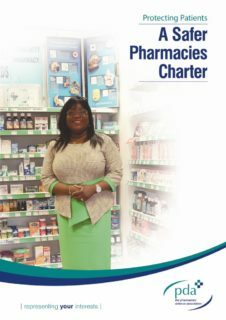 The Charter was translated into Welsh and distributed across community pharmacies in July 2018 (alongside the Violence in Pharmacy policy and resource pack) in collaboration with Community Pharmacy Wales (CPW). The Charter was launched officially in the Houses of Parliament on December 5th, 2017 at a meeting hosted by Sir Kevin Barron MP. Since its launch, many organisations and individuals have pledged their support.